It takes the generosity of our community to provide no-cost programming to families affected by childhood cancer. In addition to the fundraising events that The Goodtimes Project puts on, we are also supported by businesses, groups, and individuals in our community. Their philanthropy ensures that we have the funding to keep our programs moving forward now and into the future. Interested in planning and holding your own event to benefit The Goodtimes Project? Follow these tips, tricks, and guidelines and contact our fundraising team at staff@thegoodtimesproject.org. All third-party events that use our name and/or logo need to apply and be approved by our staff. Know your audience. Who are you trying to attract to your event and what will draw them into attendance? Plan early and ensure that you connect with The Goodtimes Project so your event is on our radar and we can assist where we can. Follow our Fundraising and Event Guidelines to stay on track and operate smoothly. The Bradley's are part of the camp family. Their daughter Kathryn "Panda" and son Richard "Loop" were both campers at Camp Goodtimes and later, staffers. 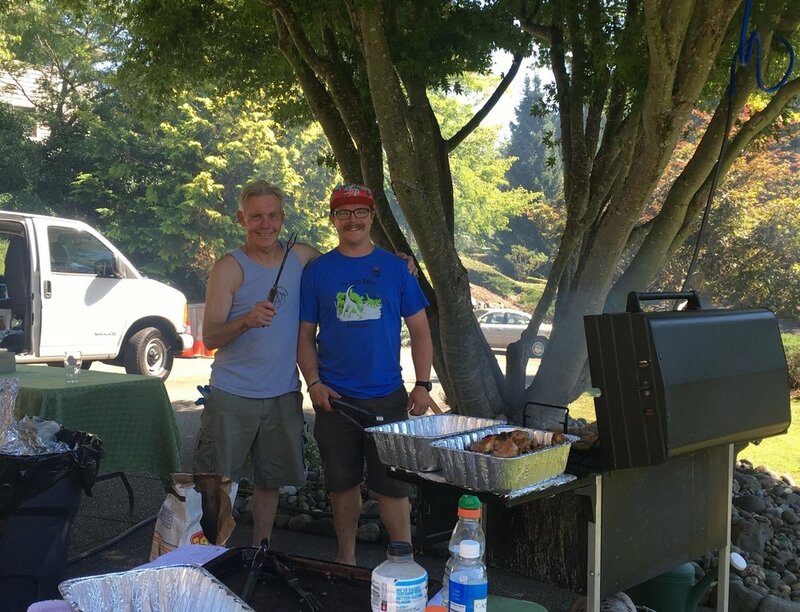 Carol and Scott continue the legacy of celebrating their daughter's life by donating their time for camp and camp-related causes and by hosting this annual event that raises an average of $6,000! Soccer or football, you decide what to call it, but this event invites local, youth soccer teams to participate in a tournament where a portion of every team's sign-up fee gets donated to The Goodtimes Project. In addition, teams are encouraged to create their own fundraisers to raise even more money. Starfire believes participation in soccer can shape the lives of those who play, making a difference both on and off the field. Is that Tony Stark? Did I just see the Flash? Well, yes, kinda. Costumed Characters for Causes uses their love of cosplay to raise money for children's charities around the Seattle area, including The Goodtimes Project. Each year, they fundraise on our behalf at events like Comic Con where they share the story about Camp Goodtimes while taking donations. They truly are someone's hero! Thank you Zetor Gators of Zeta Psi Fraternity (University of Washington—Seattle campus). Philanthropy chair, Thailan "Jedi" Springstead and team created the Zetor Games, imagine an Amazing Race-type event around campus, as a way to give back in their community. It grew phenomenally in 2016 when teams competed, alumni matched donations, and The Goodtimes Project received a donation check worth $10,400! The ladies and gentlemen who make up the Tacoma Firefighters get gussied up and celebrate another year of service and life with an annual ball. The event has dancing, dinner, and auctions, and a portion of their proceeds go to the charity of their choice. The Goodtimes Project has been the recipient the last three years, in addition to them revving up our Camp Goodtimes golf carts with new paint jobs, chrome, and lights.